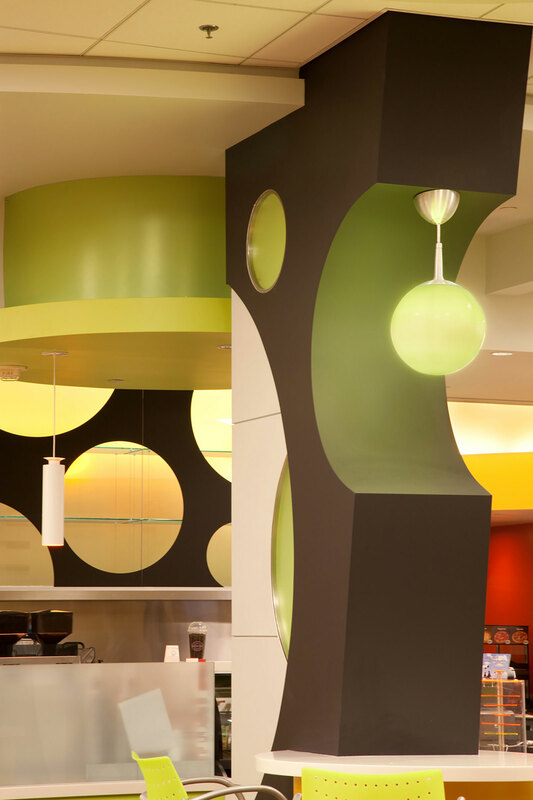 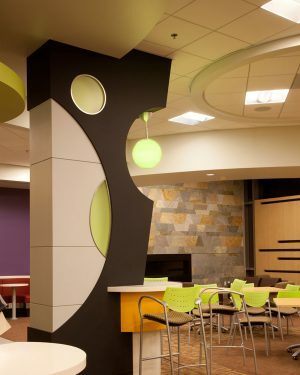 Simple circles are a main element of the modern design in the new employee dining area at the Taco Bell headquarters in Irvine, CA. 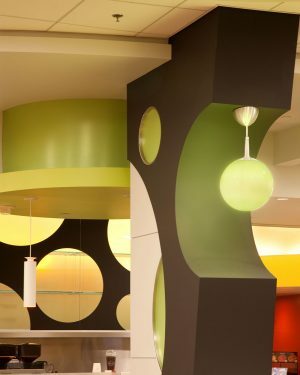 One of the main focal points of the space is a geometric column featuring an OCL Eau™ Pendant which is suspended from the top of a half-circle void. 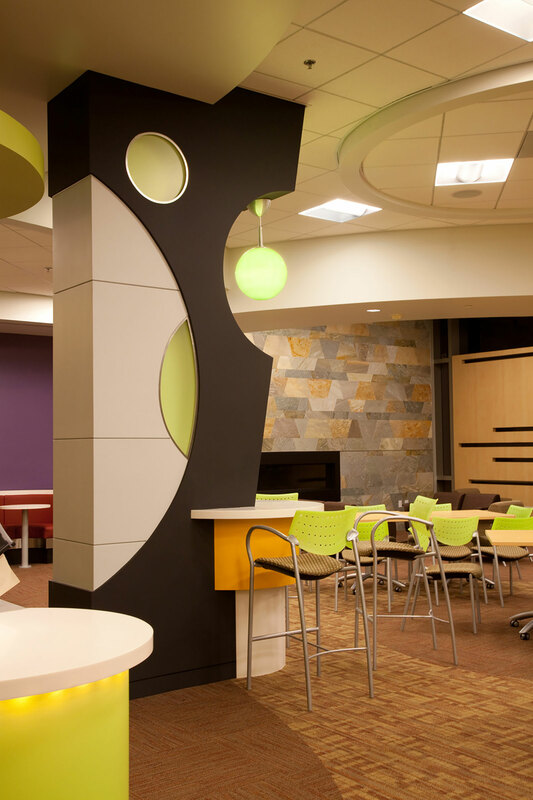 For this project, OCL was able to provide Eau™ glass in a custom hue to match a specified Pantone color.